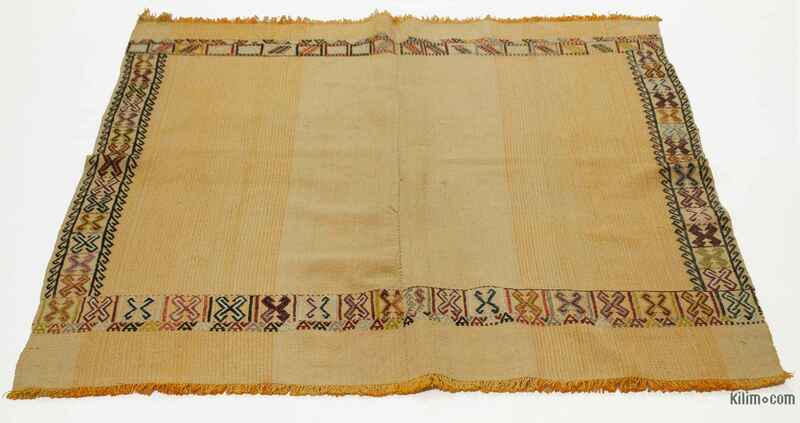 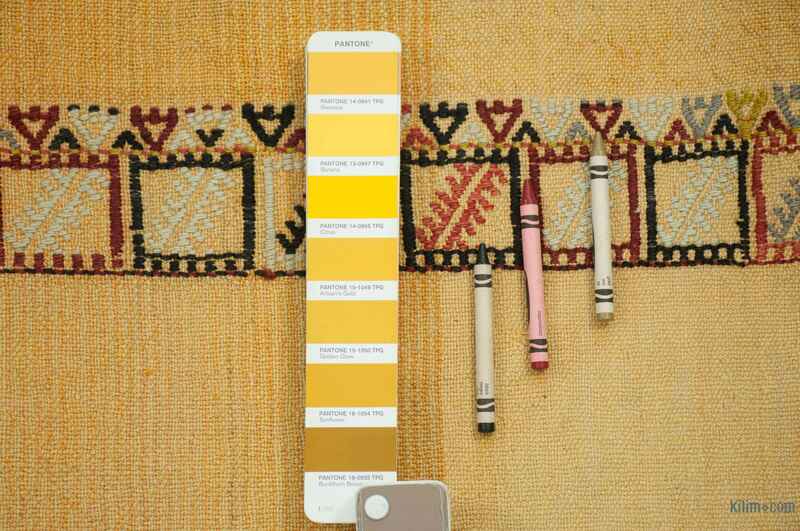 Vintage light weighted plain kilim rug with jijim borders hand-woven in 1960's old and in very good condition. 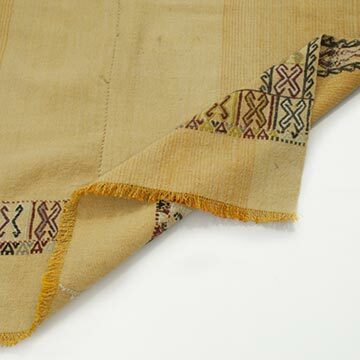 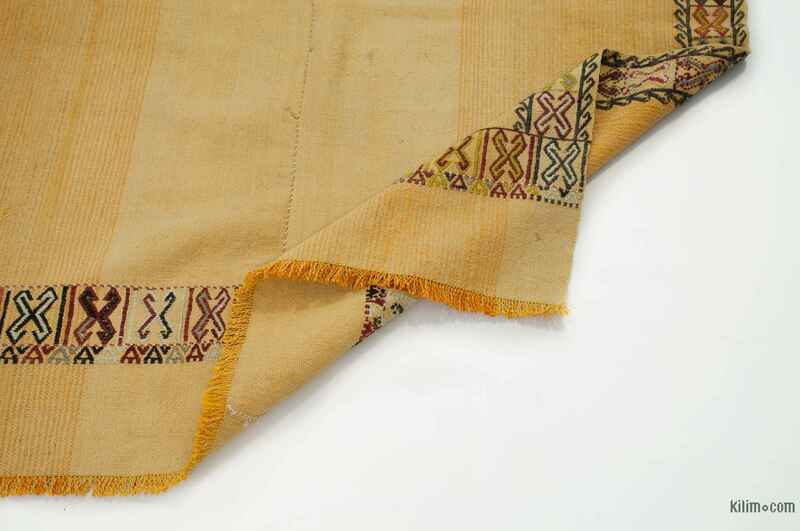 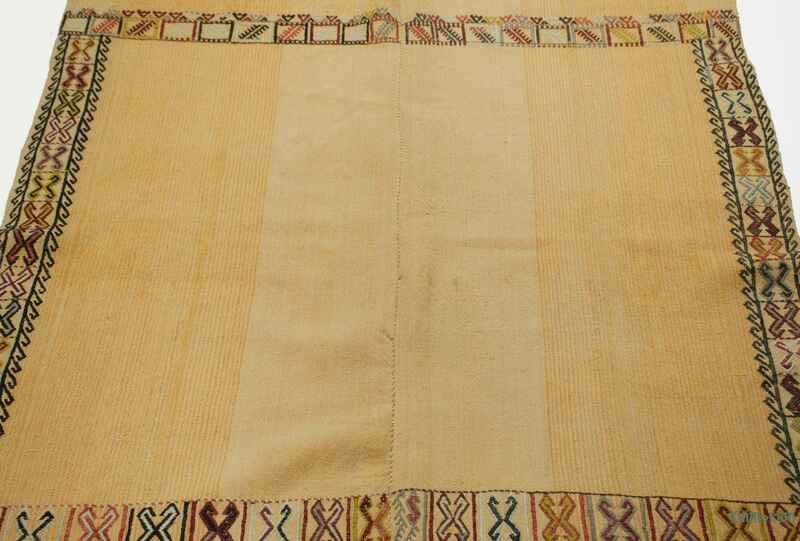 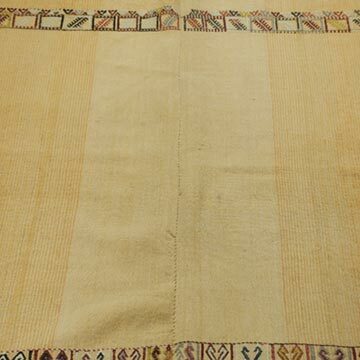 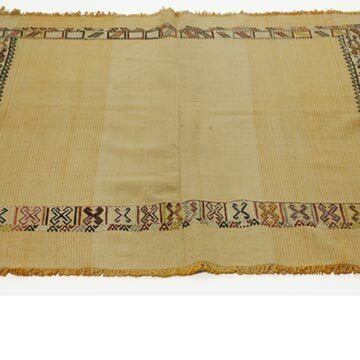 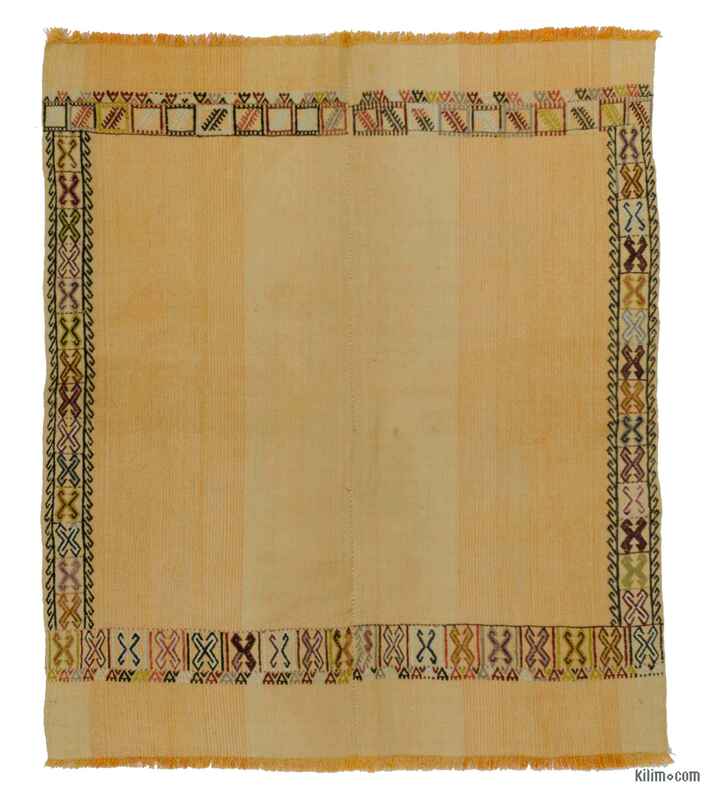 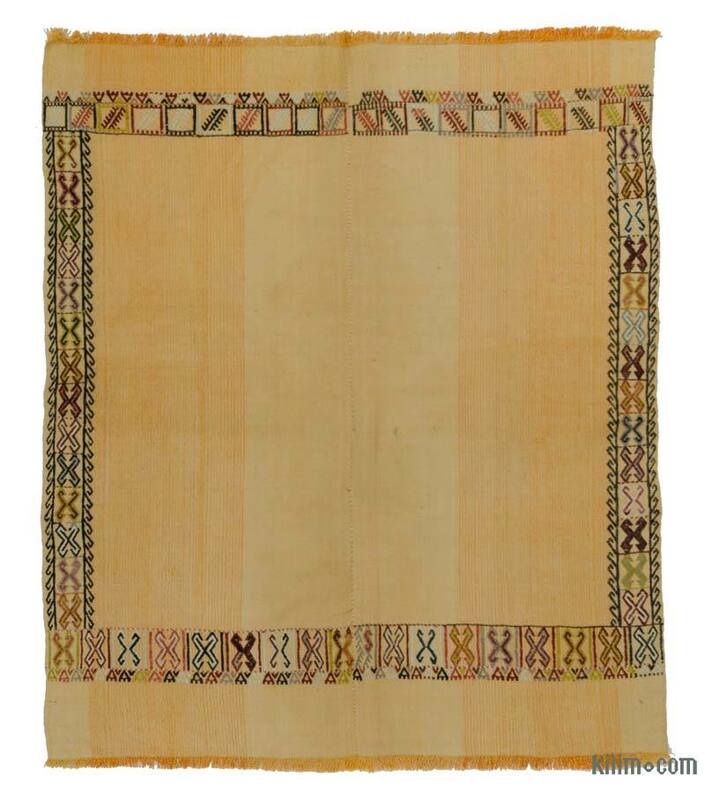 These flatweaves are called 'Sofreh’ which is mainly used as eating clothes, spread on the floor to provide a clean surface on which food may be presented. 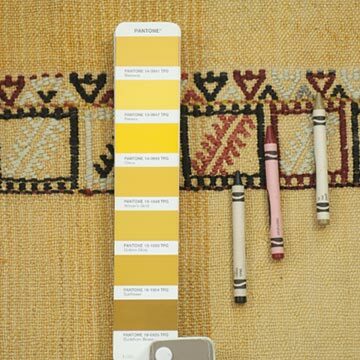 Rug pad recommended if used on the floor.